As far as I know, this is the only contemporary collaboration between father and son to be conceived of on a train while traveling through the Gobi Desert and later finished in the wet rains of Oregon. While on a grant in China studying Chinese calligraphy, Ian Boyden began to research various calendrical systems used throughout Chinese history. Choices of words, sounds, and images in this poem and accompanying series of prints derive from a twelve-part cycle of paired animals and/or signs of the Chinese and European zodiacs (modified to signify twelve two-hour periods of a single day, twelve equally spaced points on a compass, twelve colors, twelve musical notes, and so on). The drypoints were printed by Thomas Prochaska and Martha Pfanschmidt at Atelier Mars in Portland, Oregon. 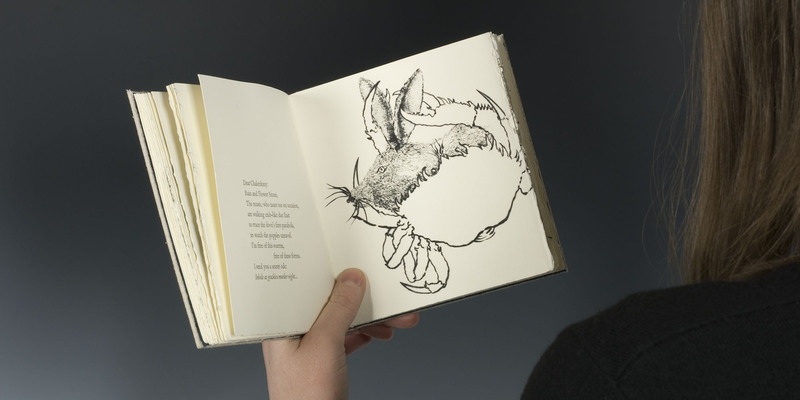 Typography, letterpress printing, and binding by Kathy Kuehn and Ian Boyden. The text was set in 14 point Bembo, and printed on Hahnemühle German Etching. Each volume is signed by the poet and artist and presented in an elegant Solander box. Dimensions: 6.25 x 5.75 inches. 64 pages.